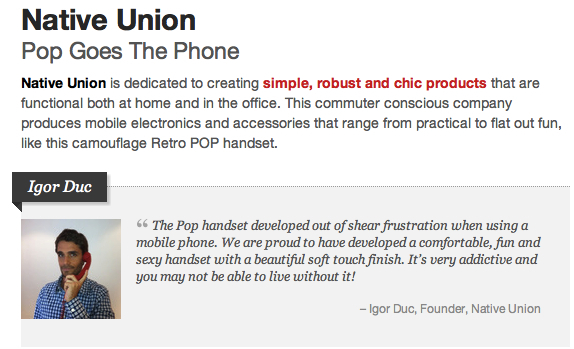 In December, I wrote about my newest iPhone accessory, a retro handset by Native Union. 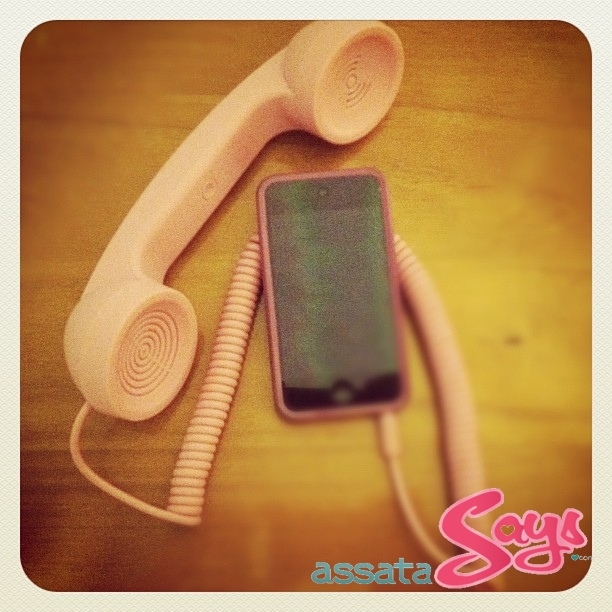 Since ordering the phone, I’ve seen it all over the place. Well, flash sale website Fab.com will be getting the phones once again. If you haven’t already joined Fab, click here and do so before this Wednesday, February 22, 2012 at 11am when the sale starts. Want to see what other sales Fab.com has coming up? Click here. This entry was posted on Sunday, February 19th, 2012 at 12:57 pm	and is filed under SALES AND PROMOTIONS. You can follow any responses to this entry through the RSS 2.0 feed. Both comments and pings are currently closed.